St Andrews twins with France! Two of Scotland’s top singers come together for the first time with a celebration of French song. Fresh from her sell-out Edinburgh Fringe show which received rave and 5-star reviews, songwriting chanteuse Christine Bovill has been wowing packed audiences with her critically-acclaimed show featuring the music of Edith Piaf as well as other spellbinding performances with songs by Jacques Brel, Charles Trenet, Georges Brasses and the lesser known but highly acclaimed singer, Barbara. 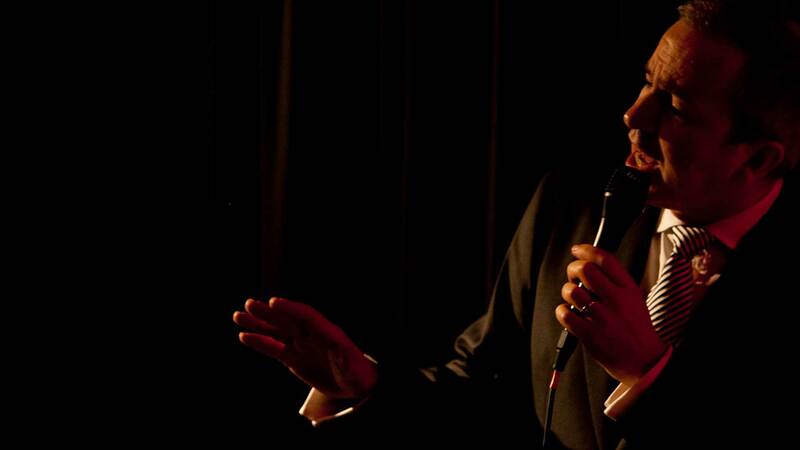 Jazz/swing singer Todd Gordon is best known for his highly successful concerts paying homage to the Great American Songbook; in particular, the shows he created featuring the music popularised by Frank Sinatra, Tony Bennett and ace lyricist, Johnny Mercer. This time, he focuses on terrific French songs with English lyrics – several composed by Michel Legrand – and many of which have become worldwide favourites. Let them beckon you into a Parisian-scented, twilight world of song with glorious jewels like I Will Wait for You, Milord, I Wish You Love, The Summer Knows, Hymne à L’Amour, Windmills of Your Mind, What Are You Doing the Rest of Your Life and Ne Me Quitte Pas (If You Go Away).